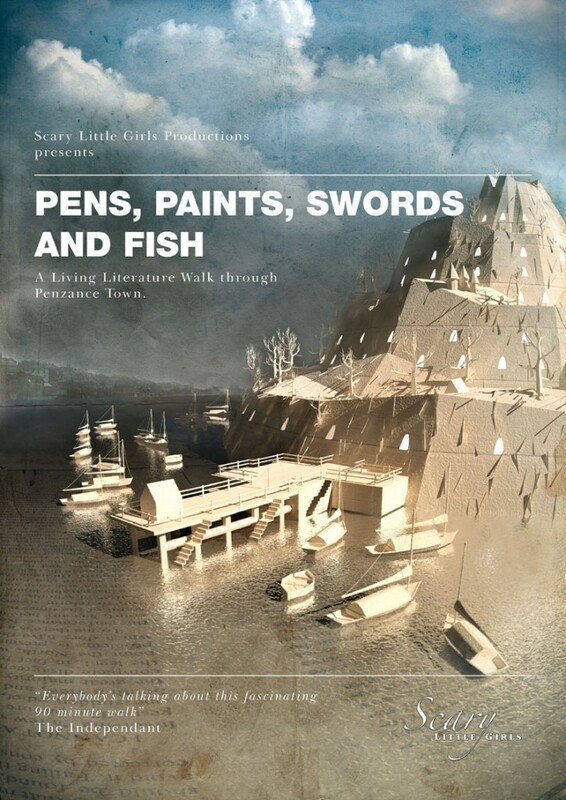 This June, Scary Little Girls Productions will bring the streets of Penzance alive with Pens, Paints, Swords and Fish, an enthralling blend of interactive performance, poetry and song. In groups of only ten to fifteen at a time, the audience sets off on a specially prepared Living Literature Walk around the town. You have only each other and the carefully constructed printed guides to show you around. The best bit, though, is that at intervals throughout the route, performers stationed in the crowds will begin performing their poems and songs as your group draws near, engaging you with Cornish writing new and old. Join us for this intimate, enchanting and unexpected event to see, hear and experience Penzance as never before! Living Literature Walks make both town and writing come alive as the route becomes a treasure hunt of engaging performances and revelations of the hidden world within your town. Walks last approx 90 mins and depart at: 12.15pm, 12.3opm, 12.45pm, 1pm, 1.15pm, 1.30pm, 1.45pm, 2pm, 2.15pm and 2.30pm. Be sure to book on the one you want!